As the amount of municipal solid waste increases, we have worked out many different methods to treat them, recycling and reusing them. To better dispose of them, we have started to do garbage classification in many ways. For example, we create classified trash bins. The trash bins are usually the first step for garbage classification. This idea is brilliant but the results are not so satisfying. In developed countries like Japan and Germany, they really do a good job in this. But in some other countries such as China, India, African countries or even the US, the results are not so positive. However, with the help of a professional waste sorting machine, you will find the classification much easier. 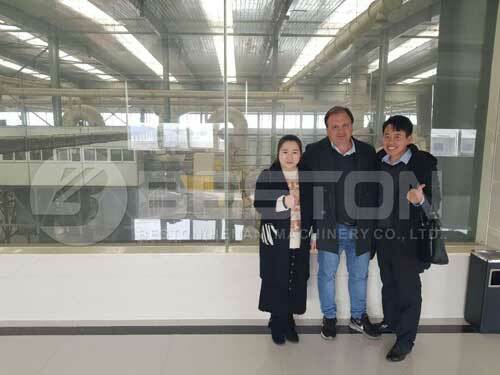 Usually, the waste segregation equipment contains a bag breaker, rotating screening machine, winnowing machine, magnetic separator, manual sorting platform, gravity sorting machine, etc. 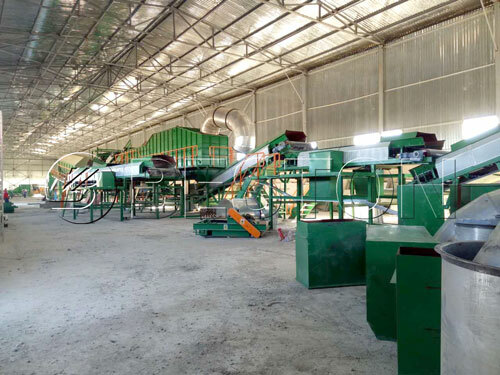 The rotating screening machine is to sort organic waste out; winnowing machine to sort the waste into the light and heavy; magnetic separator separates irony matters and manual sorting platform picks bulky waste out. Recent years, there is also another kind of sorting, which called optical sorting, that becomes more popular. It is much more advanced than the above-said physical and mechanical sorting. It can sort out solid waste or materials by the color, size, shape, structural properties and chemical composition. Therefore, using a high-tech and scientific sorting pattern, almost every kind of waste can be sorted out clearly. Even you may not do a good job of classifying garbage in the first step, you can still complete waste sorting. 1. Kitchen Refuse, leaves, wood, dust, etc. 2. Plastic, paper, glasses, metal, clothing, etc. 3. Hazardous waste including, paint, pesticide, used batteries, etc. 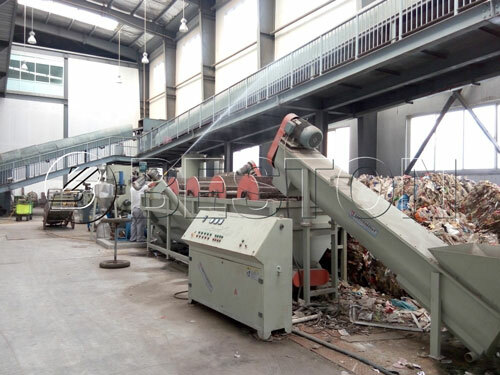 According to the different characteristics and reusing values, the waste will receive proper treatment after sorting. In a fast-developing modern society, we cannot avoid the negative consequence brought by industrial and commercial activities sometimes, but we have the technology to make up what we have done to our planet. That’s the significance of existing of a waste sorting machine.